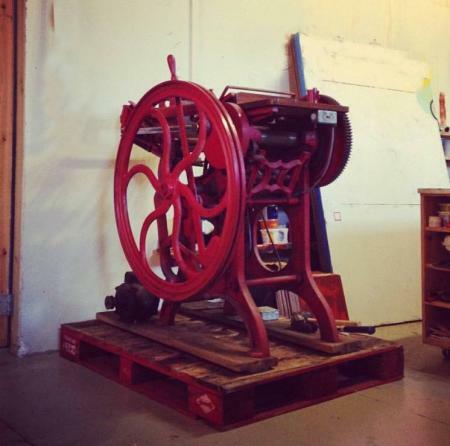 This is a Chandler and Price Letterpress in good condition considering it’s been sitting for a few years. It was in the process of getting greased for running, until life happened and no time was available to give it some love. It has three rollers needing replacing, chase, grippers, belt, and is motor operated which plugs into a regular outlet. The press is currently sitting on a standard pallet for ease of moving. Blow the dust off this gem and put it back to work! Interested or know anyone who is? Happy to answer any question. Selling for $2200 *Moving to be arranged by purchaser.